Asheville Green Plumbing--Are they just after your hard earned green? I've been hearing bad things about Asheville Green Plumbing. I talked to a friend that has a solar system, well, on demand heater, and other environmentally friendly devices. As you can imagine, he has a lot of plumbing needs. The other day his pressure switch went out on the well and he decided to call Asheville Green Plumbing in order to support Green thinking and businesses. "This was a bad mistake,"he said, "the green they are talking about is the green in your wallet, they are anything but a green company." What was the problem? "They came in and told me I needed an oddball part and would have to replace it--that involved him driving around his oversized gas guzzling van for an hour and a half. Returning he cut out my valve and replaced it with a new one, then put in a new T for the pressure switch. To my astonishment, he charged me 2hours 45min for labor and $100 for parts. Over $320 for what should have been a simple 1 hour job." I thought about what he said and asked, "Well if it was an oddball part, maybe that wasn't such a bad deal." "Riggght," he said, "The next day I drove to Lowe's and found the exact value they replaced for $35.00, for $15.97. Worse, I found a 1/4 plug that could have been inserted in my old valve without replacing it for $0.88. I bought the plug and returned back to my house in my small car in less than 1/2 hour. As I had demanded he give me the old valve, I screwed the 1/4 inch plug into the threaded tap where the old pressure switch used to be and solved the problem for less than a dollar, with a part they should have had on their truck! Calling Asheville Green Plumbers to complain was even more painful, I was informed 'we treat our customers very well.' Thinking back on the call, maybe he really said 'we cheat our customers very well'--that certainly would be more accurate." I don't have any experience with Asheville Green Plumbing, but if you have had experiences, good or bad with them, please leave a comment! Walking into a nicely decorated home is like meeting a well-coiffed person. Everything is in place, each room is carefully arranged, and the furnishings seem to accent rather than overshadow the home's design. Quality furniture should bring out your home's best features. But attractive furnishings don't happen by accident. A homeowner or apartment dweller must take time to shop for just the right arrangement of pieces in an effective period style that will suit both the home and its occupants. A single person or a young couple just starting out may not have the luxury of buying matching pieces. They may pick and choose what they need from yard sales or second-hand stores. But those with steadier incomes and discretionary funds to spend may wish to purchase roomfuls of furniture that create an ambience that is soothing and aesthetically appealing. When you are ready to shop for fine furniture, you may want to first browse newspaper ads or online websites to get an idea of what's available. With numerous styles like Mediterranean or early American to choose from, you will want to match the furniture design to your home for a coordinating effect. Contemporary furniture in a Victorian home is not perhaps the blend you want. Shop for a variety of pieces and suits that fit your home's theme or style. Compare wood grains and hues as well as fabric styles and types in finding the best fit for your living room or bedroom. Another thing to keep in mind is functionality. Will a white sofa in the family room hold up against three kids and a Dalmatian? You may want to find another piece of the same style in a different color and a sturdy fabric. Find out if you can vacuum or hand-clean certain pieces of furniture, or if they must be dry-cleaned periodically. Either of these cleaning methods can entail cost or time that must be budgeted. 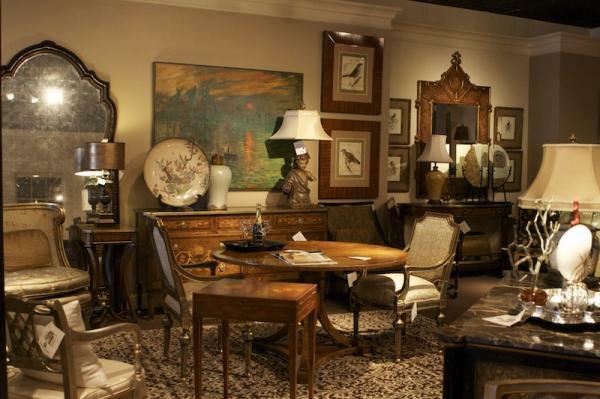 Don't forget to consider auxiliary pieces, like end tables, coffee tables, lamps, and so on. These should work well with the prevailing theme and furniture design to create a cohesive theme, not a jarring one. You also will want to choose appropriate décor, such as framed artwork or corner sculptures, to complement your furniture arrangements. A Ming vase might look slightly out of place in a rustic log cabin but an oriental rug may be the perfect match. Remember to include furnishings for your porch and patio, as your budget permits. While these are less important than household furniture, they also help to create an impression about your property, and they provide comfort and respite from daily chores and hassles. Shop for comfort and appearance, as you would for other types of furnishings. Even family portraits can be framed in the same type of oak wood that comprises your china cabinet or kitchen cupboards. Have fun decorating your living space, and don't hesitate to ask for help from one of Townhouse Galleries sales associates. They also can offer custom help through their in-house interior design services.